I’m really pleased to announce that Morgan (Koegel) and Merrin (Layden), from 3000acres, have agreed to become regular contributors to this newsletter. The plan is for them to highlight issues that the local food movement should be thinking about, one issue per month. As discussed below, their first issue is on the subject of renters and food growing. Thanks Morgan and Merrin! If any readers are renters with clever gardening solutions for their spaces, Morgan and Merrin would love to hear from you! Email them. Recent high temperatures have highlighted that some people do not know the principles of protecting their gardens from extreme heat. Imagine that you are a plant in a garden on a hot day. Would you prefer to be well hydrated before the heat hits or go into resuscitation mode when you are dehydrated, wilted or dying? Plants are just like us – they need to be fully hydrated before high heat and then re-hydrated afterwards. Many people make the error of watering only at the end of a hot day by which time their plants will have root damage, scorched leaves and sunburn, all of which is preventable. And just as we would wear a hat and clothing to protect our skin, plants need a protective covering of mulch around their roots and shade cloth or other covering (sheets, umbrellas etc) overhead to reduce water loss. Under-watering is also a significant error and ultimately a significant waste of water too. Any time that a plant wilts, its roots are damaged (even if you water later and the plant seemingly recovers). Water close to the roots, directly onto the soil or mulch, or under the drip line of trees, taking into account how exposed to the sun the plant is, its size and whether it has extra water requirements. Identify which plant or plants in your garden wilt first and use this as a barometer of the dryness of your soil. Dig down and check the moisture content if you are not sure. If you are watering a pot, it needs sufficient water to drip out the bottom which is where the roots will be. If it doesn’t drip, it is too dry. Even a small pot – say a 7cm tube which herbs are often grown in – needs at least a cup (250ml), and more if it is at all pot-bound. If you are not sure if you have watered a pot sufficiently, gently tap the plant out of the pot and check how far the water has penetrated. Often, it will be just the top centimetre or two and nowhere near the roots. Finally, remember that it is the roots, not the leaves, which deliver water to the whole plant. The roots absorb water and channel it via the stem and branches to the leaves, flowers and fruits. Whether you realise it or not, you already know quite a lot about the Roddas’ garden. This is because Stuart frequently contributes to this newsletter on issues relating to their soil (I recently collated these various contributions into a page on our website entitled Stuart on soil). Now you can learn even more because Marina has been to visit their garden and interview them. Here’s how Marina introduces her interview write up: “There are lots of different plantings in a large area like a grassed amphitheatre spanning a valley, a little over an acre in area. There is a lot of sun coming onto the central veggie beds at the bottom of the valley. There is also a frog bog down there that dries up in summer, just next to the veggie beds … This ‘soak’ area has been fantastic for growing veggies and allowing deep, fertile, friable, dark soil to be created here. The soil is at least 50cm deep, has the Eltham clay under it, and hardly ever gets totally dry … Many people in Eltham live on slopes of poor clay with lots of trees and find it difficult to grow food, so I was very impressed with what Stuart has managed to do with terracing, his choice of site, and how the clay has been used to keep water on the property.” Read the full interview. If this has whetted your appetite, Stuart and Christine are having an open garden event on Saturday, 9th February, 11am-midday. Finally, one of my jobs is finding people for Marina and Judy to visit and interview. Would you be prepared to be interviewed? Do you know someone who you think it would be good for us to interview? Email me. 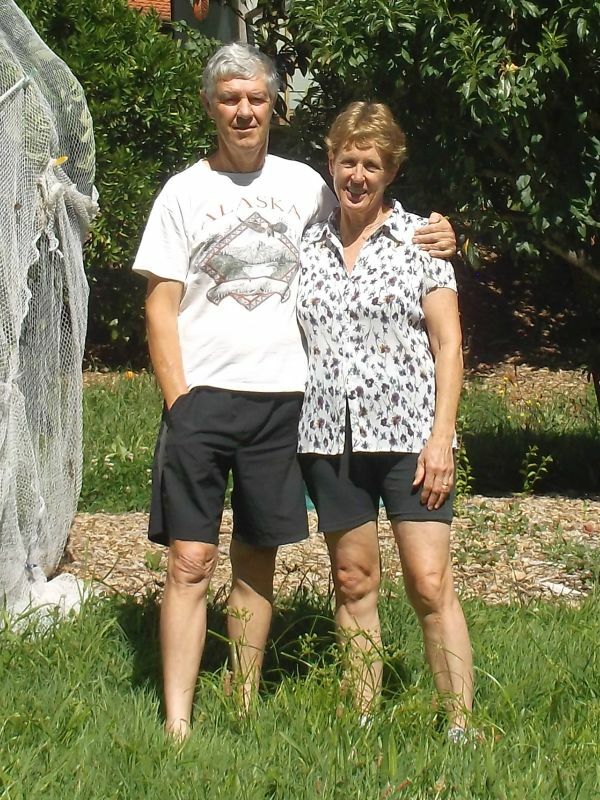 Andre Obradovic has a quarter acre veggie garden in central Eltham. He wants to share this garden with someone that has no space or needs more space and knows what they are doing. You help to grow the produce and then share in the harvest. Six 6*1.5 metre beds, 2 straw bale beds, fruit trees and a large chicken run. No chemicals. If interested, email Andre. 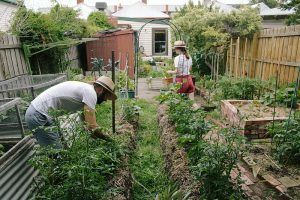 The food garden at Murundaka in Heidelberg Heights was the subject of an article in The Age. Matthew Robison, from Melbourne Gourmet Mushrooms, has submitted an oyster mushroom recipe. 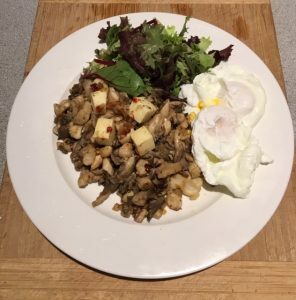 There are now around 250 recipes in the recipe section of our website from around 50 different authors (see the list of authors bottom right on the website page). It would be good if more people submitted recipes. If nothing else, it is a chance for you to have an internet presence, particularly if you have an unusual name; for example, google Marjatta Jovmakka. Just email me with your recipes. In principle, you can start planting some of the brassicas (broccoli, Brussels sprouts and cauliflower) but, given the weather, perhaps it would be better to wait until March. Richard Rowe’s article on water smart gardening. “The best time to plant a tree was 20 years ago. The next best time is today.” A Chinese proverb. Read all the quotes. Sour grapes. Meaning: acting meanly after a disappointment. The phrase originates from Aesop’s fable, The Fox and the Grapes, in which the fox isn’t able to reach the grapes and therefore declares them to be sour. Aesop lived around 600 BCE and his fables were originally oral only, leaving room for multiple written variants in later years. Here is the entire fable as written down by someone called Phaedrus in Roman times: “Driven by hunger, a fox tried to reach some grapes hanging high on the vine but was unable to, although he leaped with all his strength. As he went away, the fox remarked ‘Oh, you aren’t even ripe yet! I don’t need any sour grapes.’ People who speak disparagingly of things that they cannot attain would do well to apply this story to themselves.” In Scandinavian countries, they apparently say sour rowanberries since grapes cannot be grown there. Of the 120 or so Aesop fables, only two others appear to have any connection with food. One is The Fly that fell into the Soup: “I have eaten, I have drunk, I have taken a bath; if I die, what do I care?” The other is The Goose that laid the Golden Eggs: “A cottager and his wife had a Hen that laid a golden egg every day. They supposed that the hen must contain a great lump of gold in its inside and, in order to get the gold, they killed her. Having done so, they found to their surprise that the hen differed in no respect from their other hens. The foolish pair, thus hoping to become rich all at once, deprived themselves of the gain of which they were assured day by day.“. Read all the proverbs. Teacher: what are the seasons? Student: salt, pepper, garlic … Read all the jokes. What: Join licensed Am I Hungry facilitator and dietitian (APD) Tess Gardiner (aka The Sustainability Dietitian) for an introduction to mindful eating workshop. Learn how to develop the effective thoughts and positive feelings necessary to make decisions about eating, physical activity and self-care that support optimal health. This inside-out approach changes thoughts and feelings first so that changes in behaviour will last. The evening will begin with a 60-minute yoga practice with physiologist Jacynta Annesley (owner of Align Health & Movement) followed by a light dinner and then finishing with the 90-minute mindful eating workshop. When: Tuesday, 5th February, 6.30-9pm. Where: Heidelberg Heights. Cost: $40. Bookings: by phone (0402 702794). Further information: LFC calendar entry. What: Devita Davison is Executive Director of FoodLab Detroit. Hear Devita’s journey in building FoodLab Detroit. FoodLab is a non-profit organisation that provides low-resourced entrepreneurs with technical assistance, workshops, resources and skills needed to start and grow a strong values-based food business. Listen to Devita’s TED interview. When: Sunday, 10th February, 10-11am. Where: Alphington Farmers’ Market. Cost: free. Bookings: TryBooking. Further information: LFC calendar entry. What: Do you like to grow your own herbs? Would you like to find out how you can use them for medicinal purposes? Learn from Doris Pozzi how to use medicinal herbs, most of which can be grown locally and maintained in a home garden. When: Wednesday, 27th February, 6.30-8pm. Where: Whittlesea Library. Cost: free. Bookings: their website. Further information: LFC calendar entry. For space reasons, descriptions of the following new events have had to be held over until next week. Bees wax workshop: Thursday, 21st March, 10am-midday. Natural pest control with companion planting: Thursday, 21st March, 6.30-9pm. Buttenshaw Farm (guided garden tour): Saturday, 23rd March, 10-11am. CERES Harvest Festival: Saturday, 23rd March, 10am-3pm. Yarra Valley Beer & Cider Festival: Saturday, 23rd March, 11am-5.30pm. Buttenshaw Farm (guided garden tour): Saturday, 23rd March, midday-1pm. The Aussie veggie patch (guided garden tour): Saturday, 23rd March, midday-1pm. Cameron Street garden guided tour: Sunday, 24th March, 10-11am. Cameron Street garden guided tour: Sunday, 24th March, midday-1pm. Angelo Eliades – create a no-waste kitchen and garden: Sunday, 24th March, 2-4pm. Preparing for the Winter harvest: Saturday, 30th March, 9.30am-12.30pm. The Autumn Harvest Festival (Yarra Glen): Saturday, 30th March, 10am-3pm. Green at Kathleen – seed saving and sowing: Saturday, 30th March, 11.30am-1pm. Ringwood Highland Games: Sunday, 31st March, 10am-5pm. Home Harvest Picnic 2019: Sunday, 31st March, 4.30-8pm. What: Learn how to use your thermomix to make a variety of ice creams: rich and creamy; dairy-free; sugar-free; and instant. You will sample each of the recipes. When: Tuesday, 12th February, 7.30-9pm. Where: Kilsyth. Cost: $21. Bookings: EventBrite. Further information: LFC calendar entry. What: Learn how your thermomix can help you provide nutritional meals for your young ones and how can you use it to look after yourself during the busy baby period. Includes recipes and food sampling. When: Tuesday, 5th March, 7.30-9pm. Where: Kilsyth. Cost: $21. Bookings: EventBrite. Further information: LFC calendar entry. What: Enjoy 3 tasting size courses cooked by chef Bek McMillan, from Gourmet Living, who will demonstrate step by step. All recipes are included. Menu: lamb couscous salad; spiced lamb cutlets; and honey white chocolate mousse. When: Thursday, 14th March, 7-9pm. Where: Gourmet Living, Templestowe. Cost: $42. Bookings: EventBrite. Further information: LFC calendar entry. Lunch ideas using your thermomix: Tuesday, 19th March, 7.30-9pm. The age-old art of preserving: Wednesday, 20th March, 6.30-9pm. Italian pasta making demonstration: Thursday, 21st March, 10.30am-midday. Cook Indian by the creek: Friday, 22nd March, 6-8pm. Preserving your harvest: Saturday, 23rd March, 1-3.30pm. The Ramble – preserving food from your garden: Sunday, 24th March, 10-11.30am. Cook Indian by the creek: Friday, 29th March, 6-7.30pm. Seasonal ferments – kimchi + kombucha: Saturday, 30th March, 9-11.30am. Indian Punjabi cooking workshop: Saturday, 30th March, 10.30am-1.30pm. Clifton Hill rental productive garden (garden guided tour): Saturday, 2nd February, 10-11am. 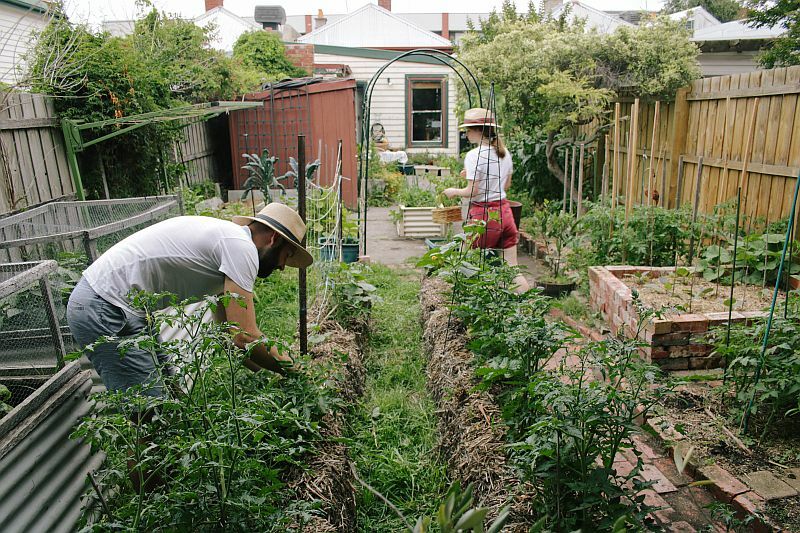 Northcote rental productive paradise (garden guided tour): Saturday, 2nd February, 10-11am. Clifton Hill rental productive garden (garden guided tour): Saturday, 2nd February, midday-1pm. Northcote rental productive paradise (garden guided tour): Saturday, 2nd February, midday-1pm. Introduction to mindful eating and yoga workshop: Tuesday, 5th February, 6.30-9pm. Beekeeping workshop: Saturday, 9th February, 2-4.30pm.